Performances guaranteed to entertain music lovers of all ages. NAC subscribers save on regular ticket prices and enjoy guaranteed seating priority. Choose your package before single tickets go on sale to the public to reserve the best seats. Subscribers also benefit from free ticket exchanges, exclusive offers, and a 15% discount on the purchase of additional tickets to select NAC music, theatre and dance performances. Buy 4 or more tickets to any show and pay as little as $11.25* per ticket! *$11.25 for a KinderNACO performance. 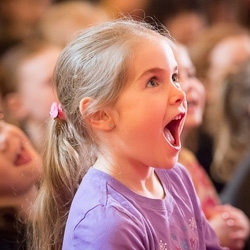 $15.50 for a Family Adventures performance.